I am thinking... Nathaniel is fourteen months old today! I am thankful for... a year of free Starz! They have been in business for 30 years so as a thank you, Dish Network subscribers get their channels for free until February 2012. We have always had premium channels (HBO and Cinemax) but in a effort to save money, we canceled our subscription last year. From the kitchen... HUGE leftover of the humongous heart-shaped cookie we baked last Sunday. I am going... to Target sometime today to check out their Valentine's day clearance. I am hoping... to watch About a Boy tonight. My husband said it's a great movie so he recorded it for me. I am hearing... Nathaniel playing with our dog. Not around the house... a Hubby and a Daddy. Can't wait for him to come home soon. One of my favorite things... sleeping in. Too bad I can't do that anymore. I'll hold to His hand, I walk with the King." Here is a picture I am sharing... 2.14.11 My little Valentine and I went out on date yesterday for some Pho soup. We really missed Hubby/Daddy, though! Ran Dirty Money preset in LR3; edited exposure, brightness, etc. Sounds like you had a great day nonetheless. Hopefully you get some time with your hubs soon! 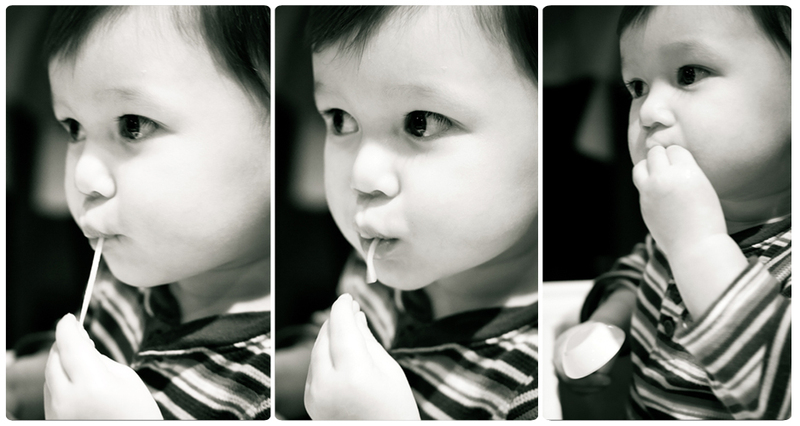 I absolutely love your captures of your little man slurping his Pho Soup! Absolutely adorable. Yum! Love pho. Nathaniel looks like he does! Yay for the free Starz channels, too! Happy 14mth olds to Nathaniel! Love that pho noodle picture! great pics! 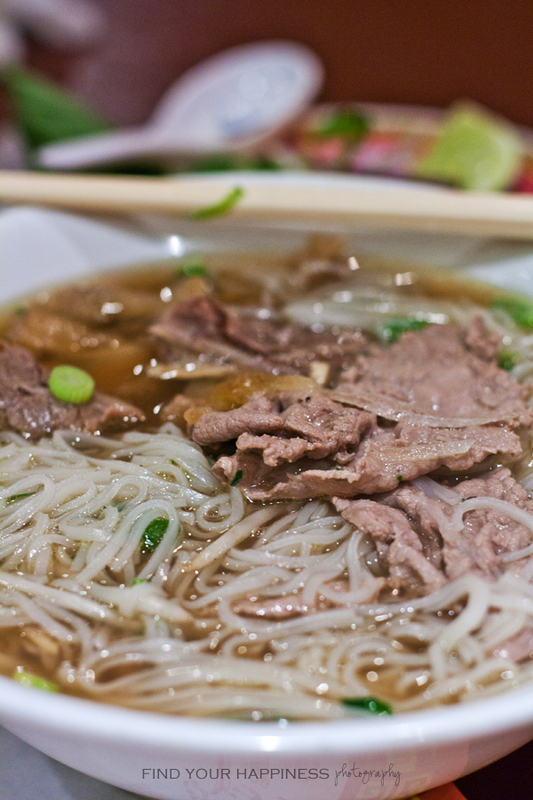 now i want some pho which reminds me there is a new pho restaurant i have to try that's closer to my house.